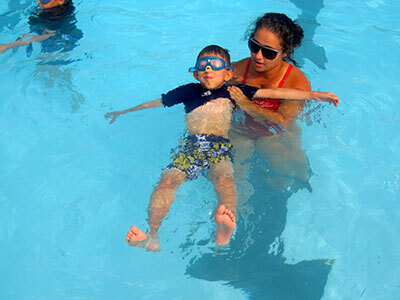 Whether they are getting comfortable putting their head underwater, mastering the front crawl, or learning how to dive, Ivy League campers love having the opportunity to swim twice daily (one instructional, one recreational swim) in our four temperature controlled pools. 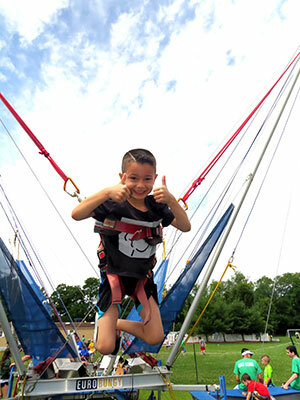 Campers also make a splash enjoying exciting water thrills zipping down our waterslides, or splashing around at Water Works, our interactive splash pad, or bumping around in our Bumper Boats. Facilities include changing bunks with dressing areas and cubbies for each child. 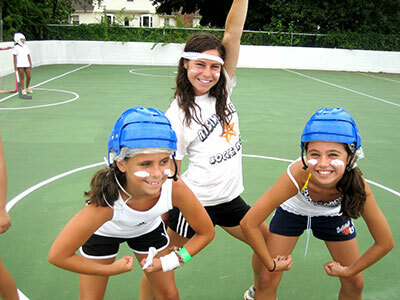 At Ivy League, every camper feels the excitement that only athletics can offer. We begin with instruction led by adult physical education instructors and then move into the game play and competition. This philosophy allows all campers to develop skills, improve and master the components of each sport, and, most importantly, learn good sportsmanship and team spirit. Campers entering 2nd grade and above have additional opportunities to practice sports during Big League Games, intramural play. Our Ivy League Athletic Specialists encourage participation, sportsmanship, and embracing the joy of the game. Our focus is healthy competition – everyone is a winner at Ivy League! Our state-of-the-art, age-appropriate athletic fields, top level equipment, and developmentally appropriate instructional techniques offer campers the finest athletics experience available. At Ivy League, campers can stretch their imagination, unleash their inner artist, and become a rising star! Creativity and ingenuity take center stage within our dynamic arts programs. Our passionate Creative Staff teach and inspire campers and help each one to shine. Whether campers are signing and dancing, painting an Arts & Crafts project, starring in the camp play, spinning the pottery wheel or building a rocket, they are enjoying incredible opportunities to develop their strengths and uncover new talents. At Ivy League we encourage all campers to explore that arts and tap into their creative potential.